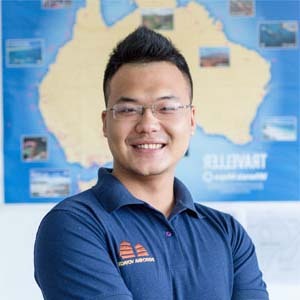 Learn about weather and climate in Myanmar before traveling to this beautiful country will help visitors have a good preparation for more perfect trip. In the South, it is represented Yangon, very pleasant atmosphere. You can compare with the most beautiful autumn day in Vietnam to learn about weather Myanmar. In this time, the sky will rain occasionally, but not significantly. The tourists travel to Myanmar is to be admired with the beauty of the temple of sentimental, streets and make you have the peace. Although in recent years, Myanmar has begun to open to tourists, but this country is not have right attention on tourism to arrive here, the tourist is easily to feel everything is the first experience, but you will satisfy with trekking in here. 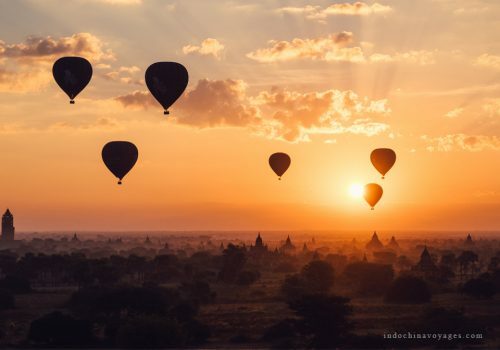 Besides, Myanmar tourism is also a lot of famous travel magazine voted that the last stop that tourists prefer to go dust can not be disappointed. 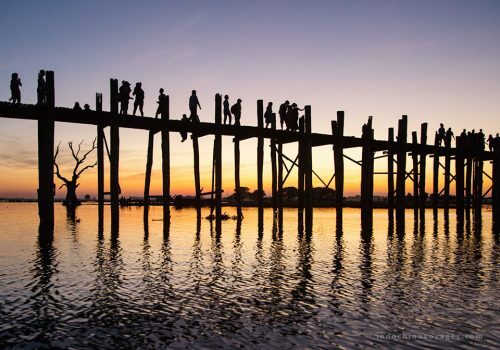 Travelling to Myanmar, the most famous place for you to watch the sunset is the bridge Ubein picturesque ancient village in Amarapura (considered the longest teak bridge in the world), a scene where the most luminous sunset on the world. This place also would be the ideal for you to welcome the first rays of the sun during the day. In the central region and the north, represented by Citadel Capital and Mandalay Naypydaw year round there is not much rain and the sun is very intense. You will feel it in the way sunscreen of people here by applying the sunscreen on your face is impressive. However, even in areas of Myanmar, you should also prepare thin jacket, windbreaker rain resistant. You can buy all kinds of lighter clothes, but good at the travel shop to ensure no loss of your map area suitcases. Travel to Myanmar, you will find these shirts are useful when walking at night, the rains suddenly or drag on. Myanmar is a country shaped diamond lasts 950km from east to west and 2,150 km from north to south. It has bordering China, Laos and Thailand to the east, Bangladesh and India in the north and the Indian Ocean in the west and south. 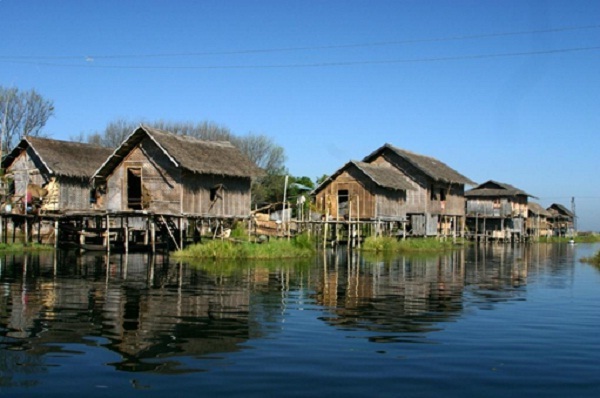 Irrawaddy River runs through the heart of the country and form a delta on the south coast. 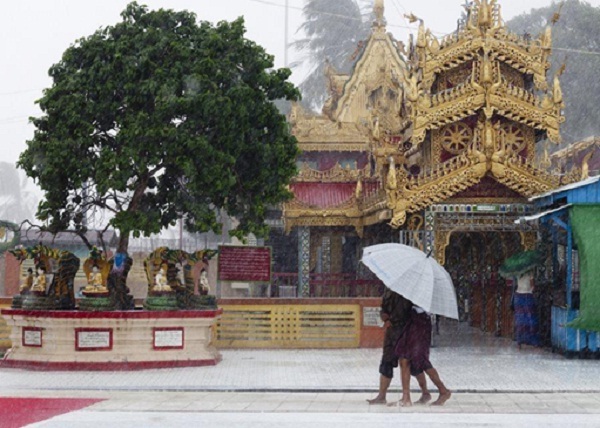 Myanmar – a country with monsoon climate with three main seasons. The hottest period is between February to May, with little or no rain. Wet season is begun from May to October, with cold and dry weather is from October to February. Travelers should be light cotton clothes hanger and towel. During the rainy season, tourists should bring an umbrella or raincoat when going out. You should dressing warmer cloths in the winter. You should know from the months of November to February is the best time to travel to Myanmar where at this time, the weather is cool and no rain. From March to May every year in Myanmar climate dry and hot, no rain. From June to October, the climate is with the rainy season in Myanmar and high humidity and hot, totally unsuitable for travel departing Myanmar. 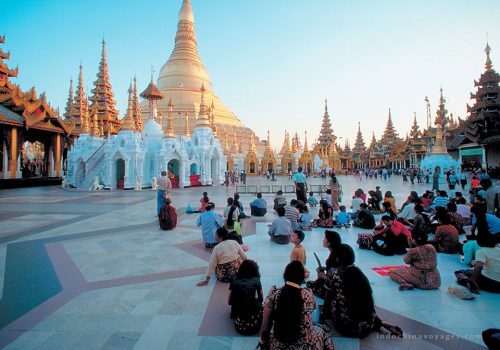 Guests can weigh and schedule travel to Myanmar more fully.